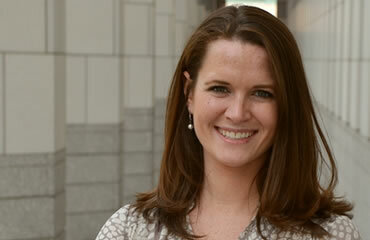 Christine Cooper-Vince, PhD is a Postdoctoral Fellow in the Chester M. Pierce, MD Division of Global Psychiatry. Her research encompasses the investigation of parental, contextual, and biological factors in the development of childhood psychopathology, as well as telehealth delivery of mental health care. As a global psychiatry fellow, she aims to further investigate youth psychopathology in the context of familial medical and mental illness to inform telehealth training of mental health providers in Mbarara, Uganda. She has co-authored several articles on the development and treatment of childhood psychopathology and internet-based psychological interventions. Dr. Cooper-Vince also conducts clinical work within the Division of Child and Adolescent Psychiatry at Massachusetts General Hospital (MGH), where she provides cognitive-behavioral therapy for children experiencing anxiety, mood, and behavioral disorders, as well as co-occurring medical concerns. Dr. Cooper-Vince completed her doctorate in Clinical Psychology at Boston University and her predoctoral internship at MGH/Harvard Medical School in the Cognitive Behavioral Therapy training track.